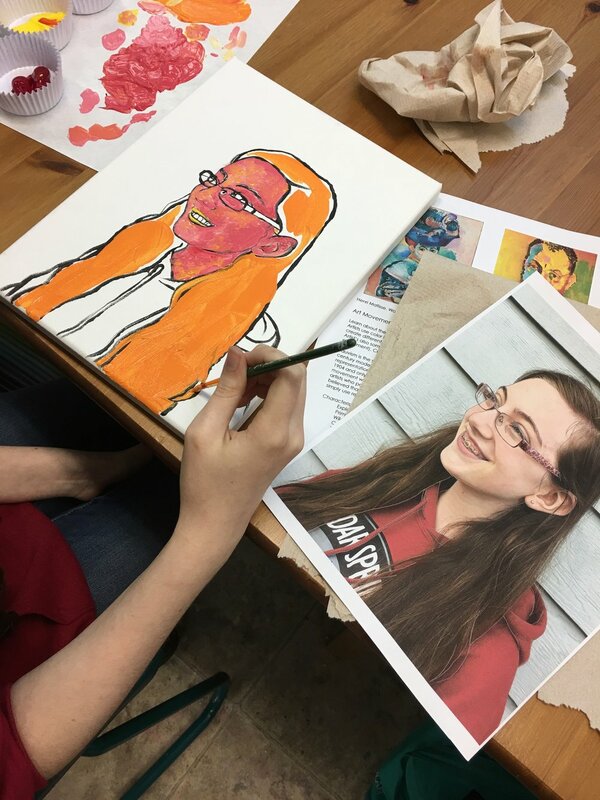 For the last project of the school year, I taught my kid and teen students aboutFauvism. 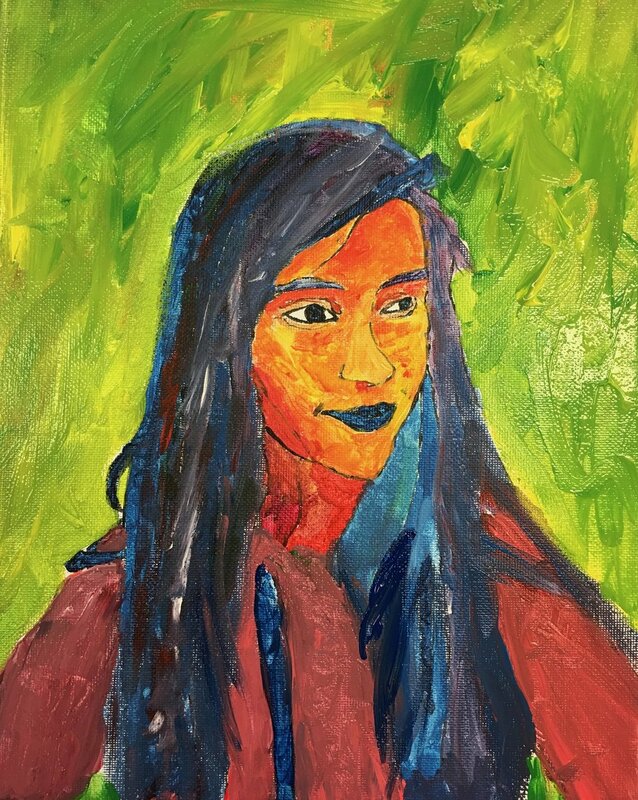 This art movement focused on the expressive use of color to create mood and express meaning. Fauvism (French for "the wild beasts") was a derogatory term used by art critics for the style of a group of early twentieth-century modern artists whose works emphasized painterly qualities and strong color over the representational or realistic values of traditional art. The group of artists embraced the term! Fauvism began around 1904 and only lasted a few years, but its influence is still seen today. The leaders of the movement were Henri Matisse, Paul Gaugin and André Derain. Les Fauves believed that color should be used to express the artist’s feelings about a subject, rather than simply using realistic color to describe what something looks like. After studying Fauvist artwork, we considered color theory and how colors make us feel. 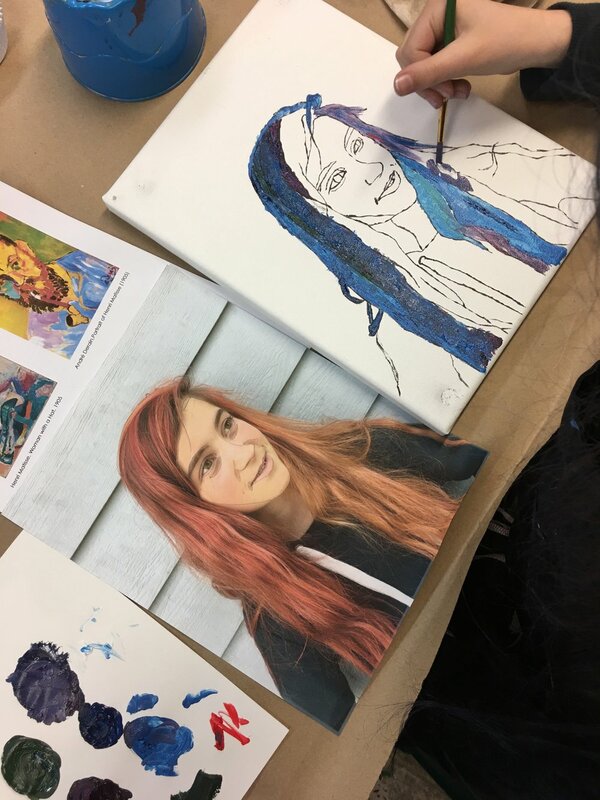 We used this information to created our own Fauvism inspired self portraits. I love the paintings that they kids and teens created! It's been such a joy painting and drawing and laughing and exploring art with all of you. I wish you all a colorful summer!